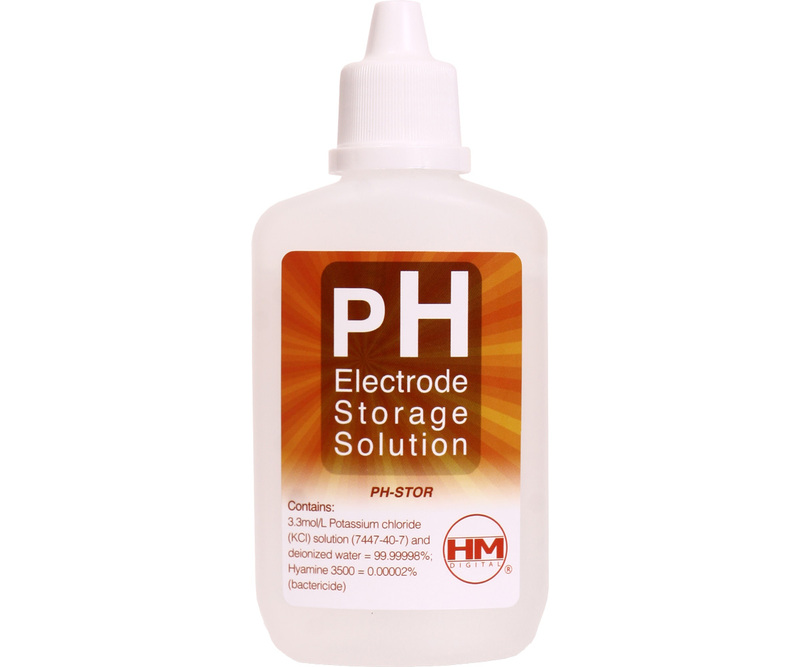 For use with HM Digital's PH-200 and PH-80 (as well as other brands of pH meters). Always make sure your sensor is kept in an electrode storage solution. If dry, refill the pH meter cap with the PH-STOR storage solution. The sponge should be moist (not soaking wet). Note: Calibration Buffer Solutions are available separately. For more information, please visit the manufacturer HM Digital's website. CWP Instruments Store It! Electrode Storing Solution. 4 fl. oz.